Add luxury to your bedroom with the Caicos Mini Set - Twin. 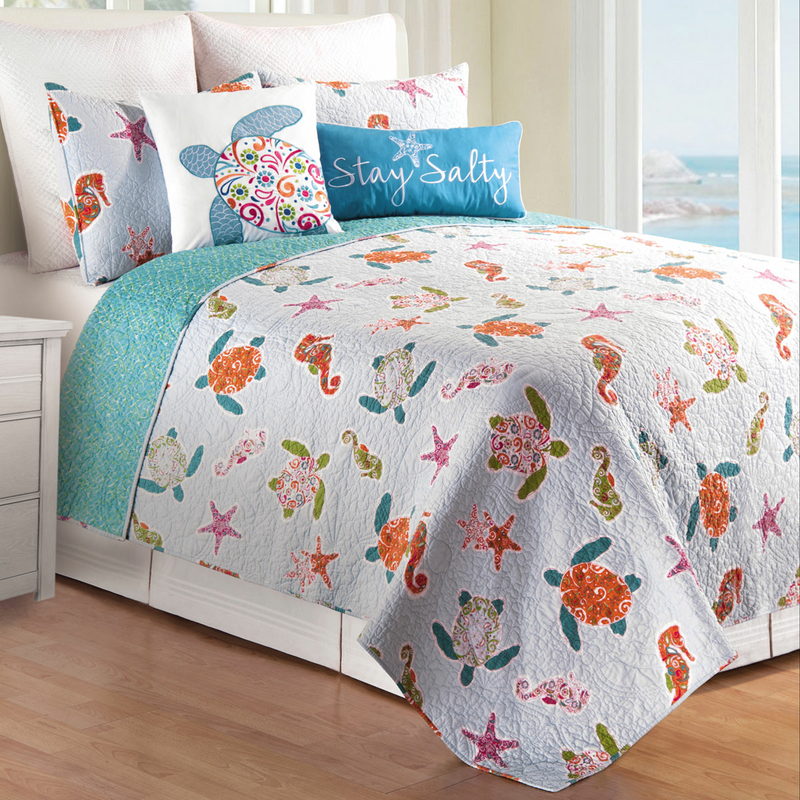 These coastal bedding sets are accented with bright sea turtles, seahorses and starfish on pale blue backed by a coordinating aqua fabric for true beach style. Ships from the manufacturer. Allow 1 to 2 weeks. Cannot express ship. For more options, we invite you to take the time to browse our extensive range of coastal bed sets at Bella Coastal Decor today.